You really need to take some time to learn about these networks and how to use these services effectively. If you don’t want to make this common social media mistake, the following tips can help to steer you in the right direction. First of all, you need to think of the long term goals of your social media accounts. With few exceptions, small businesses are not going to get 20,000 new Twitter Followers or Facebook “Likes” in one day, so don’t expect that to happen. You need to focus on the long run by cultivating these accounts and making your network more social. Next, you shouldn’t let your social media accounts become a focal point of your marketing campaign. They should just be aspects of your overall marketing strategy. 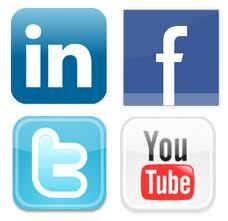 Don’t forget about more traditional means of marketing and advertising, including advertising on these social sites. Third, you should remember to use your social media networks for customer feedback. Many businesses waste time by just posting random thoughts or updates throughout the day. Even if some fans or followers love these random posts, it shows that the business isn’t listening to the feedback that they are getting from their followers. By interacting with the people who are interested in (or upset about) your business, you can make sure that you make vast improvements in your products or services by taking note of the kudos you get for doing things right and the critiques you receive for doing things wrong. Finally, you never want to get negative. Keep all of your updates and messages as positive as possible because you want everyone to have a positive association with your business. As long as you are keeping your social media accounts up to date by posting regularly and interacting often, you should see a bit of growth for your accounts over time. You may even be able to chart the growth of your business by the number of new Twitter Followers or Facebook Fans! Just be sure to stay on top of your account and avoid a major social media mistake and you are almost certain to see some measure of social success.